Scouting Notes: McLaurin leaves it all on the field. He’s not the most polished or tactical receiver – his ball skills leave much to be desired, as he catches the ball into his body more often than anyone should on film, but he has a knack for getting open and coming up with the big play. He does this through quick feet and quick, smooth cuts in and out of his breaks, leaving his defender scrambling to catch up with him after it’s already too late. He helped his stock immensely at the Senior Bowl where he was an unlikely standout among very solid prospects. Even thought Jim Nagy would have liked to have had the more well-known Buckeye WR in Parris Campbell in attendance, he made it very clear that scouts were also adamant in saying that they wanted to see McLaurin in this setting. During the week, he alleviated many concerns about his ability to hands-catch and frame the football well. Extremely efficient during his time at Ohio State, McLaurin led the FBS in yards per target (16.7) for players with over 40 catches in 2018. He was also a red-zone magnet over that time, scoring 11 TDs in his final year. Perhaps McLaurin’s best and most overlooked trait is his blocking. He’s tenacious in that department – just look at the game-winning play against Penn State where he put down 3 defenders on his own. Not the most successful in contested catch situations, McLaurin still figures out how to come away with the ball more often than not, making him a boom or bust player that to this point in his career, booms more often than busts. 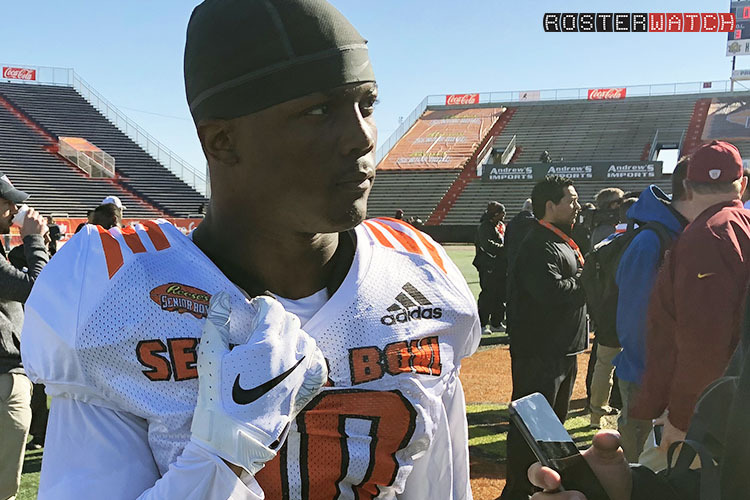 Fantasy Outlook: Most analysts had McLaurin graded as an UDFA prior to a breakout Senior Bowl week, which technically made sense. He lacks the ball-skills to win contests in the NFL on a regular basis on film. Even so, McLaurin is hard to count out with his impressive body of work as only the 2nd or even 3rd option at Ohio State. In the NFL, he projects as a second receiver with high TD upside in the vein of Chris Godwin. He’s the kind of guy you can get fairly cheap but can make your fantasy day with a couple of big scores. Having Dwayne Haskins as his QB in college was a boon, and I’d like to see if he can be as prolific with a different QB, but McLaurin has the potential to be a part-time fantasy stud on the next level. EDITOR’S NOTE: Like all rookie profiles, this one will continue to be updated through the winter and spring with intel as we acquire it. 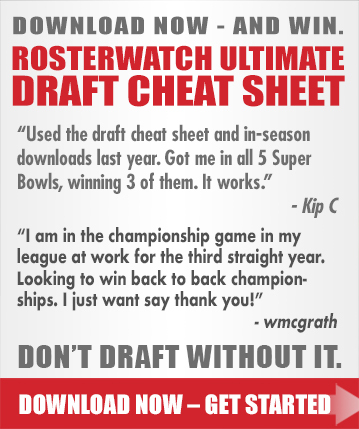 When applicable/available, these profiles will be supplemented with transcriptions of scouting combine interviews with the players following the event. Ohio State Overview: Terry McLaurin was an outstanding football player for the Buckeyes – he ranks among Ohio State’s top 15 receivers in four categories – and was an even better role model and leader off the field … he graduated in three-and-a-half years, in December 2017, with his degree in communications … a two-time team captain in 2017 and 2018, McLaurin was a part of Ohio State teams that won a national championship over No. 2 Oregon in 2014, Big Ten championships in 2014, 2017 and 2018, and bowl game wins over No. 1 Alabama (in the 2015 Sugar Bowl), No. 8 Notre Dame (2016 Fiesta Bowl), No. 8 USC (2018 Cotton Bowl) and No. 9 Washington (2019 Rose Bowl) … he also played in four victories over Michigan and was red-shirting during another victory … he improved every year as a player and capped his career with 35 receptions for 701 yards and 11 touchdowns during the 2018 campaign … he had 100-yard receiving games as a senior against both Oregon State (121 yards) and Maryland (118) and he had multi-touchdown games against Oregon State, Indiana and in the Big Ten championship game win over Northwestern … McLaurin finishes with Ohio State receiver rankings of No. 6 in both single season (11) and career touchdowns (19), No. 12 in single season yards per catch (20.0 in 2018) and No. 13 in career yards per catch (16.7) … nothing short of durable, he played in every game between 2015 and 2018 – 54 total – and started 32 times … he totaled 75 career receptions for 1,251 yards … he was also an outstanding special teams player on punt coverage; one of the best in the nation, in fact … McLaurin scored three touchdowns in Big Ten title games at Lucas Oil Stadium in his home city of Indianapolis, including a game-igniting 84-yard catch-and-run for a touchdown in the win over Wisconsin in 2017 … he was invited to the Senior Bowl following his senior campaign.